Mercury (Hg) is one of earth's least abundant elements. It is often used in the manufacture of electrical products, fluorescent light bulbs and dry-cell batteries. Although it occurs naturally in the earth's crust, it enters the environment mainly through human activity—coal burning, industrial processes, waste incinerators and the mining of mercury, gold and other metals. It exists as an inorganic salt or as an organic compound. It is the inorganic type that is detected in drinking water; organic mercury is sometimes found in fish and shellfish, a result of industrial manufacturing waste. Inorganic mercury, if ingested, usually settles in the kidneys; organic mercury attacks the central nervous system. Some people who drink water containing mercury well in excess of the maximum contaminant level [0.002 milligrams per Liter] over many years could experience kidney damage. 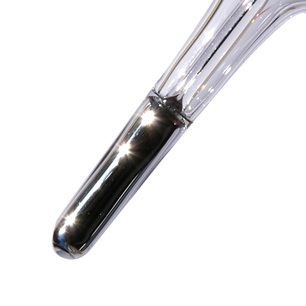 Mercury is easily removed from water by activated carbon filtration. Reverse osmosis removes 95 to 97%. Water Technology also suggests distillation, ion exchange, sulfide precipitation, or starch xanthate as treatment methods.